Hands up if you’ve ever asked for a gift card or voucher for your birthday or Christmas? Chances are you have. I know I have on numerous occasions, which is why it’s not surprising that 87% of UK consumers are purchasing gift cards at least once a year, according to research from the UK Gift Card & Voucher Association (UKGCVA). Gift cards and vouchers are great, its more personal than giving someone cold, hard cash and less hassle than thinking of a gift to buy someone who has everything. For retailers, it’s a win-win. Not only do gift cards encourage increased footfall in-store and visits online, UKGCVA research also states that ‘67% of consumers said they usually spend a higher amount than the value originally loaded onto the card, during redemption.’ They can also help retain customers and can be an excellent tool for customer service, issuing refunds or goodwill vouchers. Most retailers sell gift cards and vouchers, I’ve only just discovered that Screwfix sells them – that’s my husband’s birthday present sorted. However, not all retailers sell eGift card/vouchers, and even more surprising is that not all retailers let you redeem gift cards and vouchers online. Seriously! Omnichannel is the pinnacle of retailing, but as we’ve said before, it goes beyond having a physical shop and ecommerce website. So, how can something as basic as gift cards and vouchers not be included in a retailers omnichannel offering? Consumers expect the same shopping experience across all channels and redeeming gift cards and vouchers online is no different, with UKGCVA research also highlighting that 58.6% of respondents said that the ability to redeem online is an influential factor to buying a gift card. People want options, they want to make their own decision on where to spend their money, gift cards or vouchers and retailers not providing them with this choice are missing out. Integrate gift cards into retail management and EPoS to keep all data in one place and offer a true omnichannel experience for customers, letting them buy and redeem in-store and online. Customise gift cards so you and your customer are not restricted to an expiry date, refund options and price brackets. Extending the expiry by 12 months gives consumers confidence in shopping with you. Mix tender so gift cards and vouchers can be fully or partially redeemed and used in conjunction with other payment options gives consumers the flexibility they need and the retailer the potential to take more than the value of the card. Real-time access that lets the customer check the balance of the gift card online and top it up if needed. With fully integrated gift card data into the retail management system you can also let customers redeem cards and vouchers even if the card is lost. 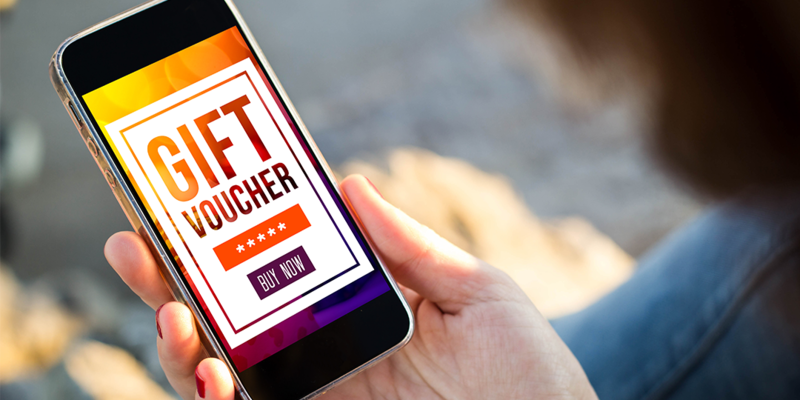 Consumers are showing their loyalty to retailers by continuing to purchase gift cards and vouchers, its only fair retailers reciprocate that loyalty. To find out how you can integrate your gift cards into your EPoS and ecommerce operations, download the RetailStore platform brochure here. *Statistics in this paragraph were taken from researching the gift card and voucher offering from 60 UK retailers between 15th – 18th March 2019. Out of the 20 retailers that didn’t let consumers use gift cards in-store and online, 15 were redeemable in-store only, one was online only, and two retailers didn’t offer gift cards or vouchers at all. Although JD Sports has a gift card that can be used in-store and online, its eGift card voucher is only redeemable online, hence why they are classed in this part of the research rather than the 40 retailers who do offer omnichannel gift cards and vouchers. If you would like access to the raw data, please contact us here.